While a student he developed right-wing opinions and as a teenager became a strong supporter of Barry Goldwater. In 1960 Caddy established the "Youth for Goldwater" organization. Caddy came under the influence of Marvin Liebman, a former member of the American Communist Party who had been dishonorably discharged from the United States Army for homosexuality. In September, 1960, Caddy, Liebman and William F. Buckley established the far right group, Young Americans for Freedom (YAF). The first meeting was held at Buckley's home in Sharon, Connecticut. Caddy became YAF's first president. Its first national council included eleven members of the John Birch Society. The main mission of the YAF was to “prepare young people for the struggle ahead with Liberalism, Socialism and Communism”. After graduating from New York University School of Law in 1966 Caddy went to work for General Foods Corporation in White Plains, New York. In 1969 Caddy was transferred to corporate headquarters in Washington. According to Caddy: "The corporate plan was to open an office for Washington representation a year later. Meanwhile, I was ordered as an employee to work out of the public affairs firm of Robert Mullen and Co., which General Foods had retained for decades." Caddy met E. Howard Hunt after he joined the staff of Robert Mullen, being recommended by Richard Helms, then director of the CIA. Caddy left General Foods and joined the Washington Law firm of Gall, Lane, Powell and Kilcullen. In 1970 E. Howard Hunt became a client of the company. When Charles Colson invited Hunt to join the White House staff in 1971, Caddy provided him with a character reference. Caddy, who was an active member of the Republican Party, did volunteer legal work for Richard Nixon. In March 1972 he had a meeting with John Dean. Over the next four months he performed a number of legal tasks connected with Nixon presidential campaign assigned to him by Dean's office. Caddy also did work for G. Gordon Liddy, the counsel for the finance committee of the Committee to Re-elect the President (CREEP). On the 17th June, 1972, Frank Sturgis, Virgilio Gonzalez, Eugenio Martinez, Bernard L. Barker and James W. McCord were arrested while in the Democratic Party headquarters in Watergate. Soon afterwards, E. Howard Hunt and G. Gordon Liddy contacted Caddy for help. Caddy arranged for another attorney, Joseph Rafferty, to meet him in the next morning in the courtroom. Later that day Caddy and Rafferty arranged to represent Sturgis, Gonzalez, Martinez, Barker, McCord, Hunt and Liddy. Eleven days later Caddy was instructed to appear before the Grand Jury. Caddy answered some of the questions but refused to reply to those he claimed "involved the attorney-client, which protects confidential and legitimate communications between an attorney and his client." On 10th July, 1972, Earl J. Silbert filed a "motion to Compel Testimony of Grand Jury Witness Michael Douglas Caddy. At issue were 38 key questions that Caddy refused to answer. According to Caddy, these "38 questions was to attempt through my lips as their defense attorney to implicate and incriminate Hunt and Liddy in the break-in." On 13th July, Caddy once again refused to answer these questions and therefore John J. Sirica sent him to prison. Caddy was soon released and on 19th July, 1972, Caddy appeared before the Grand Jury and answered all the questions he was asked. He was surprised that he was never questioned about his relationship with John Dean, G. Gordon Liddy, E. Howard Hunt and the White House before the Watergate break-in. Strangely he was never asked to testify before Sam Ervin and the Senate Watergate Committee. However, when Herbert W. Kalmbach was interviewed it was discovered that Caddy had rejected attempts by Anthony Ulasewicz to pay "hush money" to his clients. In 1984 Caddy became a lawyer for Billie Sol Estes. On 9th August, 1984, Caddy wrote to Stephen S. Trott at the U.S. Department of Justice. In the letter Caddy claimed that Estes, Lyndon B. Johnson, Mac Wallace and Cliff Carter had been involved in the murders of Henry Marshall, George Krutilek, Harold Orr, Ike Rogers, Coleman Wade, Josefa Johnson, John Kinser and John F. Kennedy. Caddy added: "Mr. Estes is willing to testify that LBJ ordered these killings, and that he transmitted his orders through Cliff Carter to Mac Wallace, who executed the murders." In recent years Douglas Caddy has moved to the left. He describes himself as a "progressive-liberal" who supported Al Gore for President in 2000 and Howard Dean for President in 2004 and belongs to People for the American Way (ACLU). Caddy was the first executive director of the ultra-reactionary Young Americans for Freedom and a former leader of the Youth for Goldwater movement. With the Washington law firm of Gall, Lane, Powell & Kilcullen, Caddy served as liaison between Robert R. Mullen & Co. and its client, General Foods. At this PR firm, Caddy shared an office with Hunt. Nixonites seem to have a real propensity for General Foods. In September, Attorney General Kleindienst, campaigning for Nixon, gave a major address at General Foods's Westchester, New York, plant. In May 1961 the dictator of the Dominican Republic was murdered. Political researcher Donald Freed wrote: "Documents would indicate that President Kennedy learned of the plan to kill Trujillo only after the debacle of the Cuban invasion in April 1961." 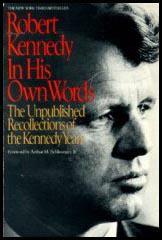 Kennedy's adviser Richard Goodwin ordered the CIA to not supply weapons for the dictator's assassination. Nonetheless, on May 30, 1961, Trujillo was ambushed and gunned down with carbines furnished by Langley. Among those on the CIA payroll and the death squad detail were Hunt and Sturgis." Hunt had extensive connections to organized crime, especially the national syndicate said to have been run by Seymour Weiss of the Standard Fruit Company (the sponsor of the Guatemalan coup) and Mafia kingpin Carlos Marcello. In 1958, Hunt organized an "antiCommunist" conference in Guatemala. The conference chairman was Antonio Valladores, Marcello's attorney in New Orleans. Also present at the meeting was Maurice Gatlin, whose office at 544 Camp Street was, in the CIA shell-game investigated by Jim Garrison, a base of operations for the Kennedy assassination." As might be expected, the Hunt cabal in the Nixon White House reeked of felony. Hunt was a close ally to Bernard Barker, a Bolivian bagman. The Cuban "Defense" Fund of Dr. Manuel Artime was a conduit for hush money to the Watergate burglars." In the 1980s, Artime surfaced as the mentor of Ramon Milian Rodriquez, the money-laundering, "freedomfighting" gallivant of Iran-Contra fame. 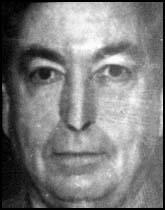 Another of Hunt's allies in Nixon's Plumbers unit was Robert Mardian, a fierce neo-fascist Armenian and assistant attorney general in charge of the security division of the Justice Department under John Mitchell. J. Edgar Hoover once referred to Mardian as "that Lebanese Jew"
Co-felon James McCord was once described by Hunt as "self-centered, devious and sanctimonious.. a weakling determined to save himself at all costs. ""Hunt's chain of unholy alliances peaked with the covert operations of the Nixon administration. As Hunt told it, psychiatric care for his daughter Lisa-whose memory was mysteriously wiped clean in 1970-forced him to "retire" from the CIA. On recommendation from Richard Helms, Hunt took a job with Robert R Mullen, a former press aide to Dwight D. Eisenhower. The Mullens public relations firm had established and operated the Free Cuba Committee. Hunt's fellow cold warriors included Douglas Caddy, a Young Americans for Freedom founder and an attorney for General Foods. Robert Bennett, a former Miami operative for the Permindex assassination team, handled the Hughes Tool Company account." The sort of public relations Hunt engaged in came to light when Louis Tackwood, a former LAPD provocateur, exposed Hunt's Squad 19 plan to incite a riot at the 1970 Republican convention in San Diego. Nobody was over Hunt, said Tackwood, "but the top dogs." Tackwood: "He was in Dallas when they got Kennedy. He left out of there for the Caribbean." James McCord was "in on the concentration camp thing." He said his name was Douglas Caddy and he introduced a small, "anemic-looking man next to him as the attorney of record, Joseph Rafferty, Jr. Rafferty appeared to have been routed out of bed; he was unshaven and squinted as if the light hurt his eyes. The two lawyers wandered in and out of the courtroom. Woodward finally cornered Rafferty in a hallway and got the names and addresses of the five suspects. Four of them were from Miami, three of them Cuban-Americans. But you are a lawyer? Woodward asked. "I'm not going to talk to you." Caddy walked back into the courtroom. Woodward followed. "Please, I have nothing to say." Would the five men be able to post bond? Woodward asked. After politely refusing to answer several more times, Caddy replied quickly that the men were all employed and had families-factors that\would be taken into consideration by the judge in setting bond. He walked back into the corridor. "I'm not in the case." Why are you here? "Look," Caddy said, "I met one of the defendants, Bernard Barker, at a social occasion." "In D.C. It was cocktails at the Army-Navy Club. We had a sympathetic conversation... that's all I'm going to say." Watergate, said Sen. Sam Ervin at the time, was the most publicized event in American political history. Certainly it was our country’s biggest criminal case of the 20th century. For as long as the American republic exists, there will be lingering questions about it. Most of what you are about to read has never been discussed by the media and is not mentioned in any of the official government investigations into the scandal, such as the Senate Watergate Committee Report, the House Judiciary Committee Report on the Impeachment of President Nixon or any of the special prosecutor’s reports. Indeed, it is safe to say that some in the judiciary and in the U.S. Department of Justice hoped it would never see the light of day. For those who have learned of it are left invariably asking themselves: Did the conduct of Chief Judge John Sirica in the early days of the case cause the seven Watergate defendants to engage in a cover-up? Beginning with Hunt’s phone call, I served as the attorney for the seven defendants - Hunt, Gordon Liddy, James McCord, and the four Cuban-Americans. Subsequently, as the result of my being the first witness pulled before the Watergate grand jury, my role was changed--from attorney for the defense to witness for the prosecution. I became involved as the original defense attorney because I had prior professional relationships with two of the principals: Hunt and Liddy. From there I drove to the White House annex - the old Executive Office Building, in bygone years the War Department and later the Department of State. Carrying three heavy attaché cases, I entered the Pennsylvania Avenue door, showed my blue-and-white White House pass to the uniformed guards, and took the elevator to the third floor. I unlocked the door of 338 and went in. I opened my two-drawer safe, took out my operational handbook, found a telephone number and dialed it. The time was 3:13 in the morning of June 17, 1972, and the five of my companions had been arrested and taken to the maximum-security block of the District of Columbia jail. I had recruited four of them and it was my responsibility to get them out. That was the sole focus of my thoughts as I began talking on the telephone. "Doug? This is Howard. I hate to wake you up, but I’ve got a tough situation and I need to talk to you. Can I come over?" "Sure. I’ll tell the desk clerk you’re expected." "I’ll be there in about 20 minutes," I told him, and hung up. From the safe I took a small money box and removed the $10,000 Liddy had given me for emergency use. I put $1,500 in my wallet and the remaining $8,500 in my coat pocket. The black attaché case containing McCord’s electronic equipment I placed in a safe drawer that held my operational notebook. Then I closed and locked the safe, turning the dial several times. The other two cases I left beside the safe, turned out the light and left my office, locking the door. After leaving Baldwin at the Howard Johnson's, Hunt had gone to his office in the old Executive Office Building. There he placed some materials in his safe and removed $10,000 in cash to be used for bail and as a legal retainer. He then telephoned Douglas Caddy to ask that Caddy represent the men who were under arrest. While not usually a practitioner of criminal law, Caddy could be trusted so far as Hunt was concerned: he had recently served as the Washington representative of the General Foods corporation, working out of an office at the Mullen Company. As such, he had been standing at an important intersection between the public and private sectors: it was General Foods' account with the Mullen Company that provided cover to CIA officers abroad.' Whether Caddy knew of this, or was himself a CIA "asset," is unknown. The Senate seems never to have questioned him about his work for Mullen or General Foods. The bugs in the DNC offices were being monitored in the Howard Johnson by Alfred Baldwin, an ex-FBI man whose name McCord had picked out of the roster of the Society of Former Special Agents of the FBI. Ordinarily McCord, now employed by the Nixon campaign, would not have accompanied the visitors, but he went along to turn up the volume on his transmitters. The team was busily snapping photos of documents when a security guard noticed tape on door locks and called the police. Sturgis recalls that he had hardly been booked at the police station when an attorney named Douglas Caddy arrived and told him, "Olympus is watching over you." Sturgis assumed that it was a shibboleth that the fail-safe mechanism was in operation, even though he didn't know that Caddy was close to Howard Hunt and once had had office space in the Mullen agency. But if there was a plan to usher the Miami Four through the judicial turnstile with a minimum of fuss, dismissing them as anti-Castro zealots carried away by the million-dollar rumor, it was spoiled by McCord's name on the police blotter. The press immediately tied him to CREEP. A former White House consultant and a lawyer who has represented the five suspects in the bugging attempt at the Democratic National Headquarters were linked yesterday for the first time to grand jury and FBI investigations of the incident. During an extraordinary court proceeding yesterday, it was revealed that the attorney, Douglas Caddy, has been questioned at least twice about the possible involvement of the Central Intelligence Agency in the case. And Caddy was ordered to testify before a federal grand jury about his relationship with Howard Hunt, the onetime White House consultant. In the court proceeding, U.S. District Chief Judge John J. Sirica rejected Caddy’s contentions that he did not have to testify about Hunt before the grand jury because he was Hunt’s attorney. Accordingly, Caddy was again brought before the grand jury, which is now hearing evidence in the break-in and alleged bugging attempt. In the court yesterday, Assistant U.S. Attorney Earl J. Silbert told the judge that Caddy was first called by the grand jury on Thursday. When asked about Hunt, Caddy invoked the attorney-client privilege, refused to testify and then asked to leave the grand jury room and consult with his own attorneys, Silbert said. Silbert told the judge that the grand jury is investigating for possible federal charges of ‘unlawful interception of wire communications’ and “unlawful possession of wire devices,” as well as for local burglary charges. At the end of the hearing, the judge said, ‘I don’t think I’m going to make any exception in the case,’ and ordered Caddy to testify before the grand jury. He said the questions put to Caddy were fair ones. Government prosecutors have revealed that they are asking questions about a person that they identify only as “Mr. X” in a grand jury investigation of alleged bugging of Democratic Party Headquarters at the Watergate Hotel. In papers filed in U.S. District Court here, the prosecutors list Mr. X only as a close friend of E. Howard Hunt, Jr., the former Central Intelligence Agency employee and former White House consultant who has been sought for questioning in the case. Caddy, 34, is a mysterious figure in the Watergate affair. He first appeared at the arraignment of the five defendants on the day they were arrested inside Democratic headquarters. Since that time, according to the court papers, Caddy has asserted to the grand jury that he represents not only Mr. X but also Hunt, Hunt’s wife, and each of the five arrested defendants. He has so far refused to answer more than 55 different questions before the grand jury on the grounds that he has an attorney-client privilege with all of those persons, according to the court papers. The papers were filed by U.S. Attorney Harold M. Titus, Jr. and other prosecutors as part of a motion to compel Caddy to answer questions before the grand jury. It was the second time the government has moved to have Caddy ordered to testify before the grand jury. On June 30 the government said Caddy had refused to answer whether he knew Hunt and whether he had known Hunt before 1970, at the time when Caddy was admitted to practice here. At the time, Sirica ordered Caddy to answer According to the court papers Caddy answered those two specific questions about Hunt but then invoked the attorney-client privilege in response to more than 30 other questions asked of him. A 34-year-old Washington lawyer was found in contempt of court today for refusing to answer a series of grand jury questions about the June 17 raid on the offices of the Democratic National Committee. The lawyer, Douglas Caddy, spent several hours in the custody of United States marshals rather than reply to 38 inquiries posed by a Federal panel that is investigating the politically sensitive burglary attempt. Late this afternoon, the United States Court of Appeals for the District of Columbia stayed the penalty pending a hearing it scheduled for next Tuesday. Mr. Caddy was then released without bond. He had briefly represented five men arrested during the Democratic break-in and he reportedly represents E. Howard Hunt, Jr., former White House consultant linked to the case, and a seventh man identified only as Mr. X. The Government brought up Mr. X earlier this week when it asked Chief Judge John J. Sirica of the United States District Court here to order Mr. Caddy to answer the grand jury questions. Mr. Hunt and Mr. X have been described as friends of Mr. Caddy. In a hearing before Judge Sirica yesterday, Mr. Caddy argued that because he represents Mr. Hunt and Mr. X he cannot be compelled to answer the questions under the attorney-client privilege. The judge rejected this argument, evidently accepting the Government view that none of the 38 queries touched on the substance of Mr. Caddy’s dealings with the men. When the lawyer persisted in refusing to answer, he was found in civil contempt. On the 19th of June, 1972, Gordon Liddy told me that his superiors - the White House - had decided I should leave the country and join my vacationing wife and children in Europe until things settled down in Washington. I was reluctant to follow such unexpected instructions, feeling I might be regarded as a fugitive even though no warrant had been issued for me (nor ever was). However I went home and began to pack, and soon afterward Liddy phoned me to rescind his previous orders. But shaken by the appearance of confusion and indecision among our sponsors, harassed by the press and lacking even basic legal guidance, I decided to fly to California and quietly await developments. From there I placed frequent calls to Washington in order to obtain legal counsel. Douglas Caddy, my first--until then only - lawyer, was reluctant to speak with me, as was my employer Robert Bennett. Through press accounts I learned that Caddy had been summoned before a grand jury and then hauled before Judge John J. Sirica who ruled no attorney-client privilege existed between Caddy and myself. He ordered Caddy to answer the grand jury questions and subsequently thrust my attorney in jail. Sirica’s savage handling of Caddy made me realize how desperately I needed expert legal counsel. Moreover, the cognomen ‘Maximum John’ had begun appearing in the press, and the combined implications were clear: if Sirica was treating Caddy - an Officer of the Court - so summarily, and Caddy was completely uninvolved in Watergate - then those of us who were involved could expect neither fairness nor understanding from him. As events unfolded, this conclusion became tragically accurate. Among the many legal scholars who were later to criticize Judge Sirica’s conduct of the Watergate proceedings, Dean John Roche of the Fletcher School of Law and Diplomacy had this to say: ‘… there is one sinister relic of that era: Watergate “justice.” one appalling aspect of Watergate was the extent to which liberals and civil libertarians deserted traditional principles of due process. The slogan was: “No due process for the bad guys: get the bastards!” What Sirica did was clearly cruel and unusual punishment forbidden by the Bill of Rights. He used the sentencing process as a medieval rack.’ And Douglas Caddy was his first victim. (12) Herbert W. Kalmbach gave evidence before the Sam Ervin and the Senate Watergate Committee on 16th July, 1973. Mr. Dash: Now, what was the first instruction you received to give the money? Mr. Kalmbach: Again, as I have tried to reconstruct this, Mr. Dash, the first instruction that I received was to have Mr. Ulasewicz give $25,000 to Mr. Caddy. I don’t know much of Mr. Caddy. I understand he is an attorney here in Washington. And, as I recall it, this was probably from approximately July 1 through July 6 or 7. There were a number of phone calls. I would either talk to either Mr. Dean or Mr. LaRue. I would then call Mr. Ulasewicz, who in turn would call Mr. Caddy. He would have some response from Mr. Caddy, and I would call back up to either Mr. Dean or Mr. LaRue. Mr. Dash: What was the response from Mr. Caddy? Mr. Kalmbach: Well, the sum and gist of it was that Mr. Caddy refused to accept the funds. Mr. Dash: In that manner? Mr. Kalmbach: That is correct. That was the end-all. There were several telephone calls, but the final wrap-up on it was that he refused to receive the funds. A clubby atmosphere has prevailed in federal court during the three weeks it has taken the government to present their case in the Watergate bugging trial. The questioning of Republican officials and others has been more polite than penetrating. Entire areas have been left unprobed. In corridor discussions, prosecutor Earl Silbert has been asked repeatedly by newsmen why he has not posed additional questions to witnesses or called higher Republican officials to the stand. Silbert’s contention is that the government is submitting only evidence that is necessary to prove charges in its indictment of the original seven defendants last September. There is no evidence of a wider conspiracy, he has told reporters. Additional testimony could be immaterial and irrelevant, he has said. Not only have the prosecution’s questions been limited but the defense attorneys at times have even waived their opportunity to cross-examine. It seems ironic that those most opposed to Mr. Nixon’s lifetime espousal of ends justifying means should now make a hero of a judge who practiced this formula to the detriment of a fair trial for the Watergate Seven. Indeed, Sirica was quite frank about all this with statements during the trial such as ‘I could care less about what happens to this case on appeal…’ and ‘I could care less what the Court of Appeals does, if this case ever gets up there. Alfred C. Baldwin III, a former FBI agent who monitored the Watergate telephone tap, denied Thursday that he had played any part in deleting his reference to ‘CIA’ from a court transcript in an interview used in the Watergate case. The question of the deletions - actually the substituting of the initials ‘CRP’ for ‘CIA’ in the transcript has become an issue in the Senate Judiciary Committee hearings on confirmation of Earl J. Silbert, the prosecutor in the original Watergate case, as U.S. Attorney for the District of Columbia. The matter also raises a broader unsettled question of whether the CIA did, in fact, have any part in the burglary and electronic surveillance of the Democratic headquarters in the Watergate complex here. When a committee member asked about the significance of changing ‘CIA’ to ‘CRP,’ Glanzer indicated that he was concerned that the Watergate defendants would inject a ‘phony’ CIA defense into the trial … Silbert and Glanzer told the Judiciary Committee that they realized they had misinformed Sirica on the ‘ matter after Glanzer and Baldwin reviewed tape recordings of the interview. With them when they interviewed the tapes was Charles Morgan, Jr., a Washington attorney who represented the Association of Democratic Chairmen, the target of a Watergate telephone tap. ‘And it turned out that it was “CIA” rather than “CRP,” and Mr. Baldwin acknowledged to Mr. Morgan, in my presence, that he had made a mistake,’ Glanzer told the committee. I have been portrayed as a super right-winger when in fact today I am a progressive-liberal who supported Al Gore for President in 2000 and Howard Dean for President in 2004 and belong to People for the American Way, ACLU, and other organizations of similar character. It is true that one time I was pretty conservative, being involved in launching the modern conservative movement in the 1950s and '60s, but I later came to realize that the movement had been hijacked by sociopaths and opportunists. I have not voted for a GOP presidential candidate since 1984. My political philosophy has always been that the American eagle needs two strong wings to fly. At one time in the 1950s and '60s the eagle was tilted somewhat too much to its left wing. However, at the present time the eagle is dangerously weighted in favor of its right wing, so much so that its very survival as a symbol of liberty and democracy is at risk.